One of the most remarkable music events of 2012 must be how Nashville and some of its biggest, most bloated and notorious corporate citizens did the inexplicable: they began to tackle the issue of the massive talent glut in American roots music. As big record labels continue to tighten their ships, and radio companies like Clear Channel continue to buy up radio stations all around the country and nationalize programming, the ability for America’s major media companies to offer true choices in content continues to diminish. And when it comes to radio, the issue is likely effecting rural areas and country listeners disproportionately. T Bone Burnett, renown music producer and the music director for ABC’s new television drama Nashville spelled out the problem in October, right before the Nashville series started. Because the bottleneck of commercial country radio is so profound, there’s a wealth of incredible material laying around town. This is a big surprise to me, how many extraordinary songs we’ve been able to find. An industrial amount of bad songs, to be sure, but a surprising amount of really good, handcrafted, personal songs that people are willing to share with us because there’s no longer a platform for them to share their music at all. I hope that we become the platform for the people who are writing from their whole hearts. When talking about Nashville, I often have to explain that I don’t “like” the show, and don’t even recommend people watch it. But that’s different from understanding the importance and power of an outlet like Nashville, and how its opening up tremendous opportunities for some independent artists. And who owns ABC? Disney does, the largest media conglomerate in the world. Who is helping fund Nashville? Ryman Hospitality (previously Gaylord Entertainment), which owns The Grand Ole Opry and has been notorious for ignoring aging and emerging talent over the last few years. And not to be outdone, another subsidiary of a massive media conglomerate based in Nashville, Viacom’s CMT, has figured out how to get on the independent music bandwagon by launching their new outlet with an emphasis on the legendary and the unknown, CMT Edge. 6 months ago, it would have been unfathomable to see an artist like Rachel Brooke featured on anything related to CMT. 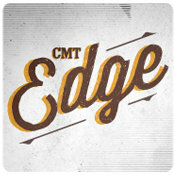 Now CMT Edge is digging deep, and doing what they can to shine a bigger light on music from the Americana world to aging greats. Sony ATV, Nashville’s biggest music publisher, just announced a new program called Nashville Guitars and Bars meant to showcase budding talent coming up in the singer/songwriter ranks. All of a sudden the big boys in the media business are playing a part in re-populating the country and roots music farm system that for years has been anemic and ignored. Why? Because as I and others have asserted for years, there is commercial viability in independent music. No, of course it is not as financially lucrative as artists like Tim McGraw or Toby Keith, but that doesn’t mean that companies cannot create revenue by either helping to manufacture this music, or promote it or cover it. And as time goes on and the ranks of listeners disenfranchised with corporate music and its inherent lack of choice continues to grow, the trends favor independent music becoming even more popular in the coming years. There is money in independent music, no matter how much independent fans might want to grovel over its monetization. Fans and artists have a right to be speculative of the intentions of some of these Nashville institutions wanting a piece of the action, seeing how their closed doors and derelict attitudes towards artistic expression and creative freedom is part of the reason an independent movement in music exists in the first place. For years people have thought of Nashville as the home of corporate music, and that’s still true. But that doesn’t mean there isn’t a rapidly-growing independent scene on Nashville’s east side and in other spots around the city. The word from many of the folks on the inside looking out is that Nashville has long surpassed Austin as the epicenter for independent roots music, despite Music City still being the home of Music Row and many other trappings of the mainstream music business. I was as speculative as anyone about the intentions and viability of outlets like ABC’s Nashville or CMT Edge, and will probably continue to keep one suspicious eye turned in their direction. But for now, they appear to be working from a sincere approach of broadening musical perspectives and choices. I’ve always said that all that independent, up-and-coming artists need is a chance. You put the good stuff right next to the stuff people are force fed through Clear Channel radio and they will begin to make better choices. Finally here in 2012, those choices are being made available through mainstream outlets, and the glut of viable artists and credible content pushing at the edges of Nashville like a balloon ready to burst is finally being alleviated by new outlets channeling real music to hungry ears. Without question more needs to be done, but this is a good start. I believe that the big boys in the office are realizing that there is a wave of popularity in roots music. People are reverting back to old school ways (clothes, film, music, entertainment in general) because the times that we live in are nowhere near as pleasant and easy going as they used to be. Just curious as to where you see this happening. It’s definitely not the case where I live. In general, I believe lately especially there is a strong counter-culture going on. Even in film, for example, Westerns are becoming prominent, again. Either that, or you see that Hollywood is remaking old movies or releasing movies about an older period. Not to mention the “neo-folk” movement that is going on with the music scene these days. You have all these rising bands like Mumford and Sons (whom I do not like) and The Avett Brothers, who are making it “pop” to have an old timey sound and use Banjos in popular music, again. Then you got style, the “rockabilly” movement. I live in the Metro-Detroit region and I know of 2 or 3 different places where I can go to get a pompadour. Along with the surge of young people from 16-25 who spend all of their time thrifting for dated clothing. I guess it really could depend on where you live, but I am surrounded by city and you see just about everything around here. Detroit? That makes perfect sense. Detroit’s heyday was in the 1950s, and I can definitely see why there is such pervasive nostalgia there. The same is true with the rest of the industrial Midwest, I’m sure. I’ve lived in the West almost my entire life, and so I haven’t seen any such desire to go back to the old times. The West has always been the most culturally liberal and forward-looking region of the country, and furthermore the West is much more developed now economically than it was in the past (most of the major Interior West metropolitan areas were small cities back in the 1950s). The South, despite its strong cultural conservatism, is not governed by nostalgia either, since it is dramatically better off now than it was half a century ago. There is a reason why so many old country songs were based on themes of hardship, whereas such songs are scarce today. From the Civil War until the last half century, the South was basically the poorest and least industrially developed region in the entire Western world (with the possible exceptions of Ireland and Southern Italy). The Great Depression hit the South harder than any other region, and Third-World-style rural poverty was the norm there during that period. It’s no accident that so many of the country legends were born or raised during the Depression. It’s remarkable how economic conditions have such a strong impact on culture. True that, Trig. Lets just hope and pray that the suits don’t F’ it all up as we all know they are prone to do. I really like the show. In addition to the songs, I’m enjoying the close-up view of the music industry depicted in the show, as well as the manner in which the characters have been developed. The real test of a character drama is whether it can properly capture the 3-dimensional nature of humanity, especially to make us empathize with unlikeable characters. The show has done this very successfully with Juliette, who I very much disliked at the beginning of the show but have now come to understand. I also love how the show is advertising the city of Nashville, given that Nashville is a city that I’ve been deeply interested in for years and is at the top of my list of future travel destinations. With regard to the songs, the show has done wonders for talented yet unknown songwriters throughout Nashville. Almost every one of the songs has gone to the top (or near the top) of the itunes charts. According to Striking Matches, this video went from 1,000 views to 20,000 views in 2 days! That show how influential “Nashville” is. Is the emerging music scene there dominated by indie rock or by independent country? 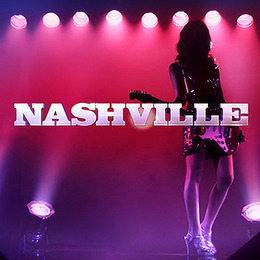 “Nashville” depicts Avery as an East Nashville indie rock artist, but most of the country music in the show takes place in venues in Downtown and West Nashville, such as the Bluebird, Layla’s, etc. I would say both. There’s also some independent hip-hop coming out of Nashville these days. I do believe in one of the first few episodes, they highlighted an east Nashville spot, but I can’t remember the name at the moment. With “Nashville’s” tendency to spread the love around town, I have no doubt east Nashville and some specific clubs there will be showcased eventually. I think it’s The 5 Spot. Some of the commenters on the “Nashville Scene” were quite surprised about the spot’s appearance on the show, given that it’s a place that they visit frequently. I lived in E.Nashville for 8 years in the 80’s…I think at the time “Bluebirds Cafe” was just a “fleshing out” point for aspiring artists,(kinda reminded me of a “coffee shop” type bar with bleachers). Not sure when Layla’s hit Nashville because I don’t ever remember or recall the bar (if it was there then, I wish I did). The best bars for live music in E. Nashville at the time I lived there were Kenny and Ruth Wallaces “MAW & PA’S”, a place called “CAMEL COUNTRY” and a little club called “DOUGLAS CORNER”. That prolly don’t come close to answering your question about what’s going on in E. Nashville “today” Eric, but it’s a fond memory for me. East Nashville is changing so fast that I’m sure that it looks very different now than when I wrote the comment on this thread almost 1 year ago! My wife got the Nashville tv show soundtrack from her folks for Christmas. It’s pretty listenable and well produced. I also picked up the soundtrack a couple weeks ago. I am really enjoying it. I especially like the acoustic version of “Telescope” performed by the Stella sisters.Those girls are very talented. I got a couple of iTunes gift cards for xmas and was pleased to see that on the Country Page in iTunes despite being headlined by Taylor Swift, Florida Georgia Line and Toby Keith there were also prominent front page links for Lindi Ortega, Dwight Yoakam, and Blackberry Smoke. I was then, however, disappointed when I clicked on “Americana” subcategory (upper right on the page) and noticed that while the list was fairly good, it was a fairly good 2011 list (Harvest & The Hallow, Queen of the Minor Key). I hope Lindi got some clicks/sales after being on Nashville, but if I released a 2012 album I’d be a bit tweaked it didn’t get picked up on the Americana section of the store. That’s why, in recent years, I’ve felt the lack of variety in mainstream country outlets is so counterproductive. Even when I was growing up, you could still have traditionalists like Randy Travis and George Strait alongside poppier, rockier and folkier stuff — a little something for everybody — but when the poppier and rockier elements pretty much took over, I got fed up and burned out (and I suspect a lot of other people did, too). Most of the public may not have the time or energy to seek out anything beyond what’s most readily available; but if that’s the case, I would think it’d be better for the industry overall to expose them to a wider variety of artists that they might enjoy.